Bondi Junction's premiere dental studio. Give us a call to arrange your next appointment. We offer a full range of treatment procedures that help you maintain optimum oral health and improved wellness.We have a special interest in cosmetic dentistry solutions that are designed to create a natural appearance while also addressing practical considerations. 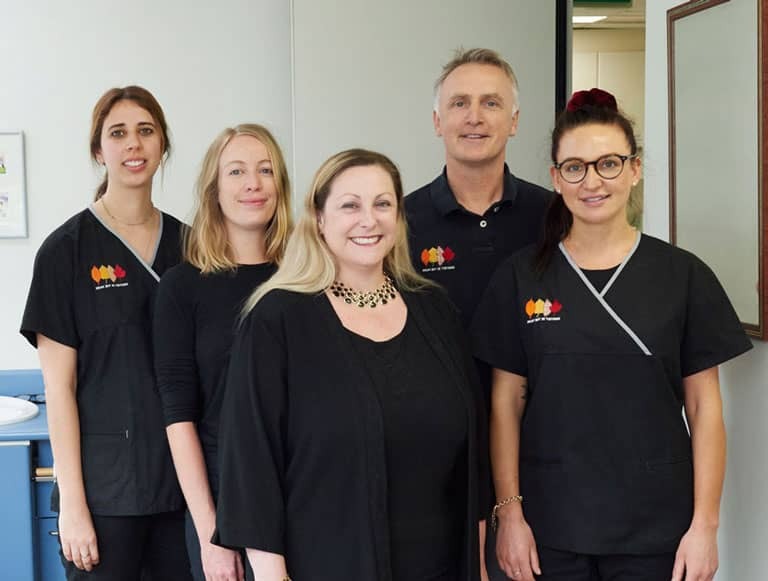 Welcome to Dentist in the Park, the general and cosmetic dentistry practice of Dr Brendan Quill and his team of dedicated dental professionals. We welcome new patients of all ages and look forward to meeting you. Dr Brendan Quill has over 20 years of experience and is passionate about delivering high-quality dentistry that he would want for his friends and family. He continually updates our technology, his professional skills, and the way we provide dental care, so you always receive the best modern dentistry offers. At Dentist in the Park, we understand that no two patients are alike and we appreciate that you will have personal preferences for your treatment. We present all your conditions with complete honesty and provide a range of options for you to consider. Your dental treatment plan is then designed to meet your personal goals. In addition to general and cosmetic dentistry, Dr Quill has a special interest in innovative orthodontic solutions designed to straighten teeth and achieve a comfortable bite. If you snore or have been diagnosed with obstructive sleep apnoea, oral appliance therapy can provide an effective solution to achieve a more rejuvenating night's sleep. The loss of teeth can present a number of health challenges, and many patients can feel very self-aware of their altered appearance. At Dentist In the Park, we can address these situations with dental bridges, dentures and dental implant procedures. We understand that visiting a dentist may not be your favourite activity, so we take special care to provide a professional and friendly environment where all our patients can feel relaxed and comfortable. Addressing minor issues before they become a major problem is always the best approach to dental health. So, if you haven't had an examination for a while, why not contact us for an initial consultation. We'll provide a comprehensive report which lets you know exactly where you stand and we'll be happy to recommend a treatment plan if necessary. Is it time for your next dental exam? We welcome you to contact us to arrange an appointment and look forward to seeing your smile.